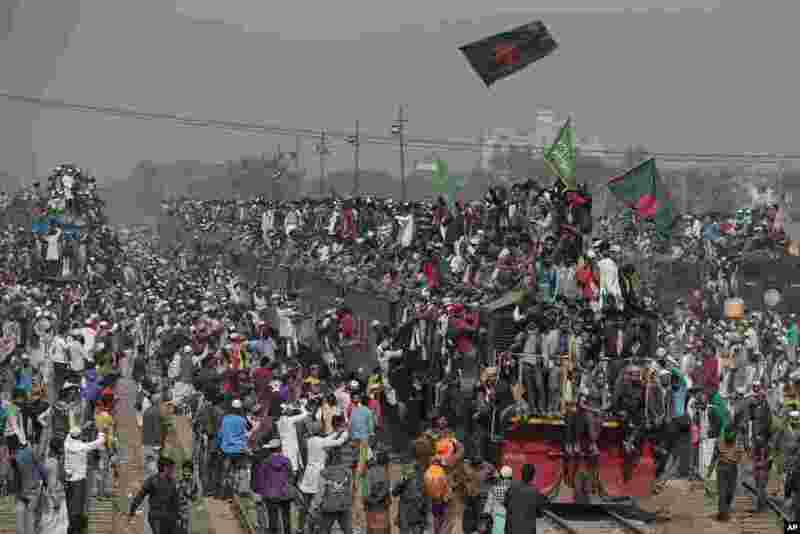 ١ Bangladeshi Muslim devotees head to their homes in an over-crowded train after attending the final day of a three-day Islamic congregation on the banks of the River Turag in Tongi, about 20 kilometers (13 miles) north of the capital Dhaka, Bangladesh. 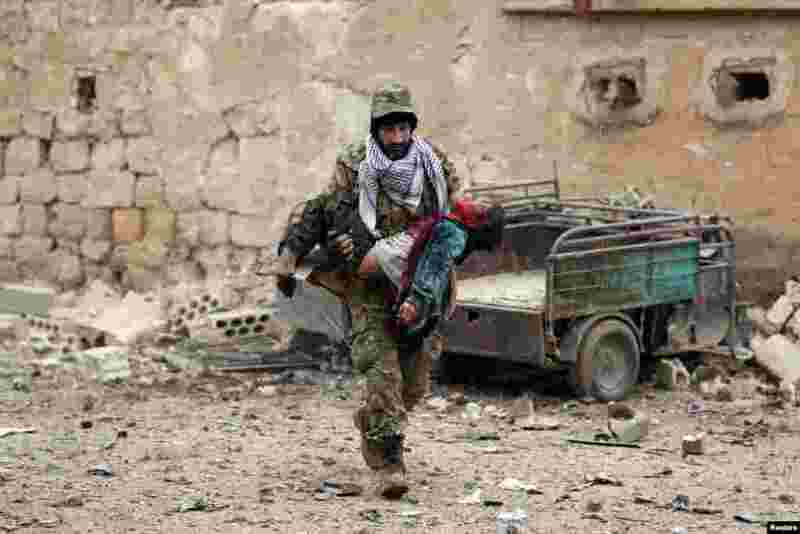 ٢ A rebel fighter carries an injured boy after a car bomb explosion in Jub al Barazi east of the northern Syrian town of al-Bab, Syria. ٣ A boy to shoots a machine gun with blanks, at a weapon exhibition during a military show outside St.Petersburg, Russia. 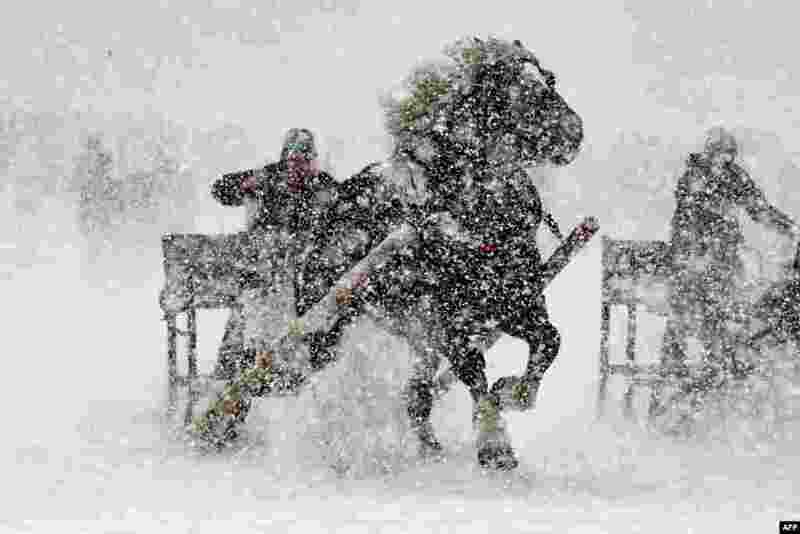 ٤ A participant of a horse-drawn sleigh race drives his sleigh through the snow in Rinchnach, southern Germany.